Connecting experts in the field with teachers in the classroom. These materials are laced with active teaching techniques that will supercharge your lessons! 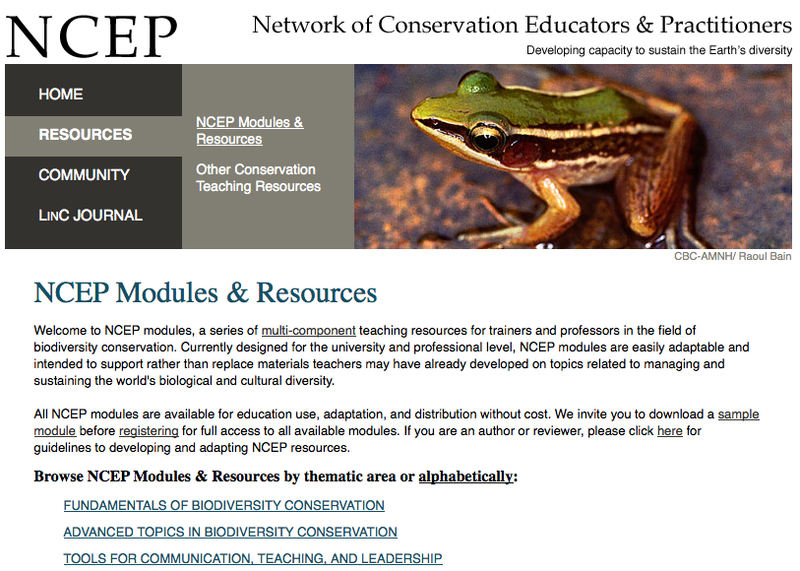 NCEP is a global initiative to produce high-quality, college-level, peer-reviewed teaching materials about topics related to biodiversity conservation. All modules can be downloaded free of chargefrom their website. Each topic includes a synthesis, a powerpoint presentation, presentation notes, exercise, exercise solutions, case studies, etc. All subjects are adaptable for the particular audience where they will be used. Extremely useful for teachers of all levels and subjects. Available in English, Spanish, and French. Locations where NCEP currently works.